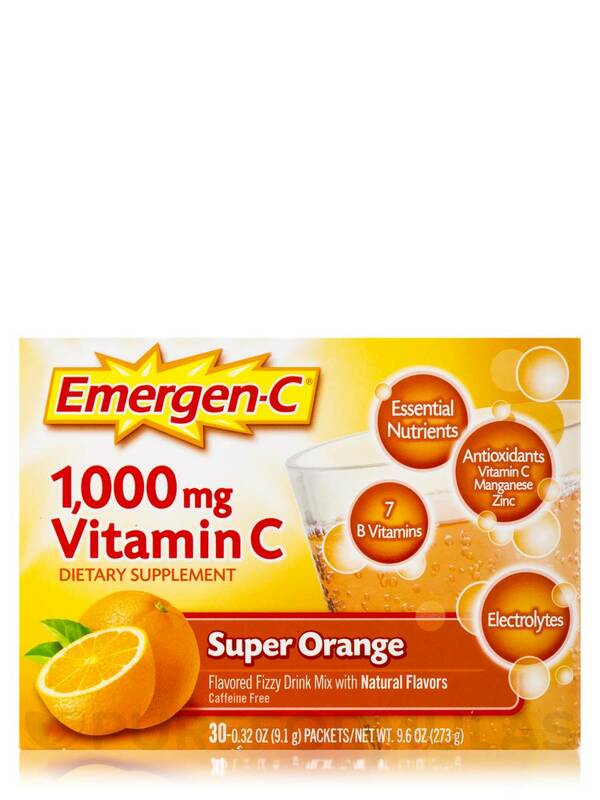 After volunteering at school, I love the drink Emergen C Vitamin by Alacer Corp so I don't get sick. Touch wood it works. 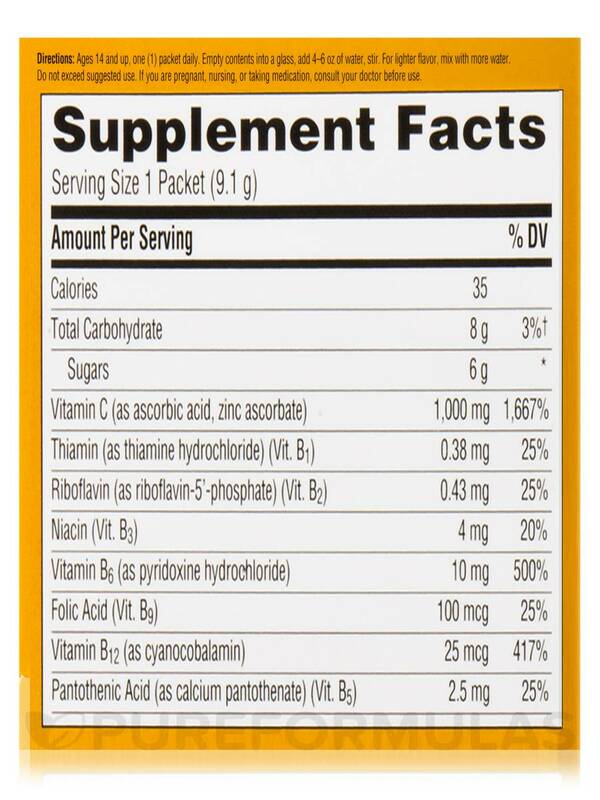 I always have a box of Emergen C Vitamin C by Alacer Corp in the house for the days when I run out of Vitamin. C tablets. Works when a cold is coming and I can shake it off. Every time I feel a cold coming, I start having two Emergen - C packets daily. In no time, I feel great. 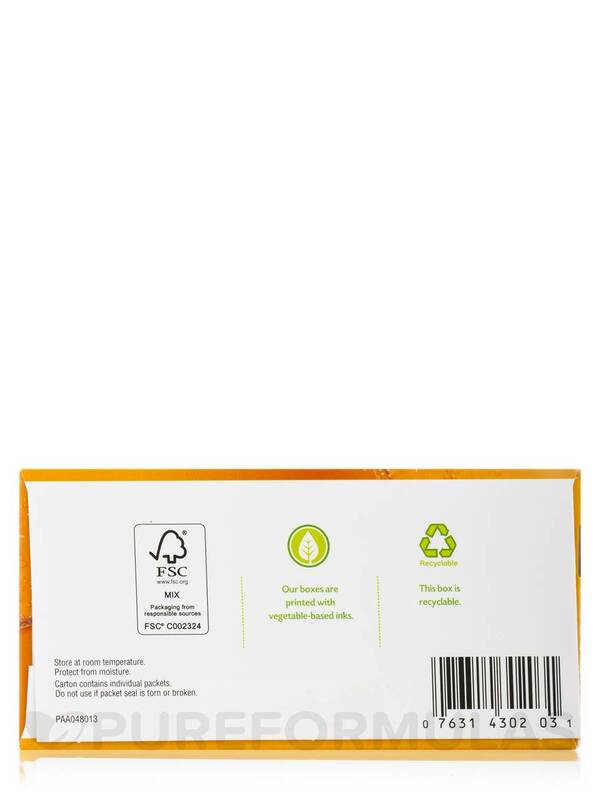 Emergen-C® Super Orange Packets from Alacer Corp. may be able to provide the required amount of vitamins and minerals to maintain good health. If you are the type who wants to stay healthy but are not it easy to include fruits and vegetables into your diet‚ this effective supplement from Alacer Corp. might be a good choice. 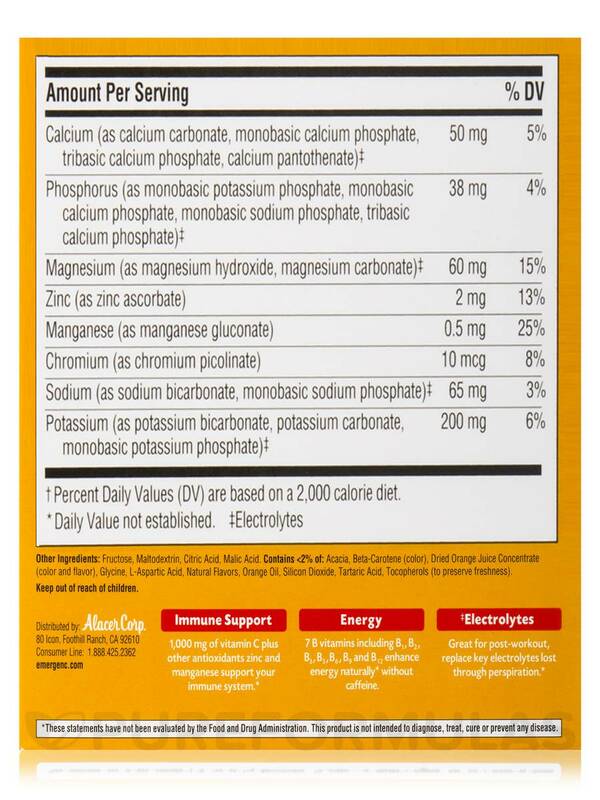 This supplement contains nutrients including vitamins C‚ B-1‚ B-2‚ B-3‚ B-6‚ B-12‚ folic acid‚ calcium‚ magnesium‚ potassium‚ chromium‚ and sodium. Vitamins B-1 and B-2 are involved in the production of energy‚ while B-3 could provide antioxidant support to the cells and DNA. Vitamins B-6‚ B-12‚ and folic acid may be involved in the production of red blood cells‚ while folic acid is also known to support cognitive health and neurological development. The body also needs various minerals for different functions. For instance‚ calcium is involved in the building and maintenance of bones‚ nails‚ and teeth. The potassium present in this supplement is essential for heart health and could support the health of the muscles‚ nerves‚ and kidneys. Sodium is also extremely beneficial and may promote enzyme activity in the body. 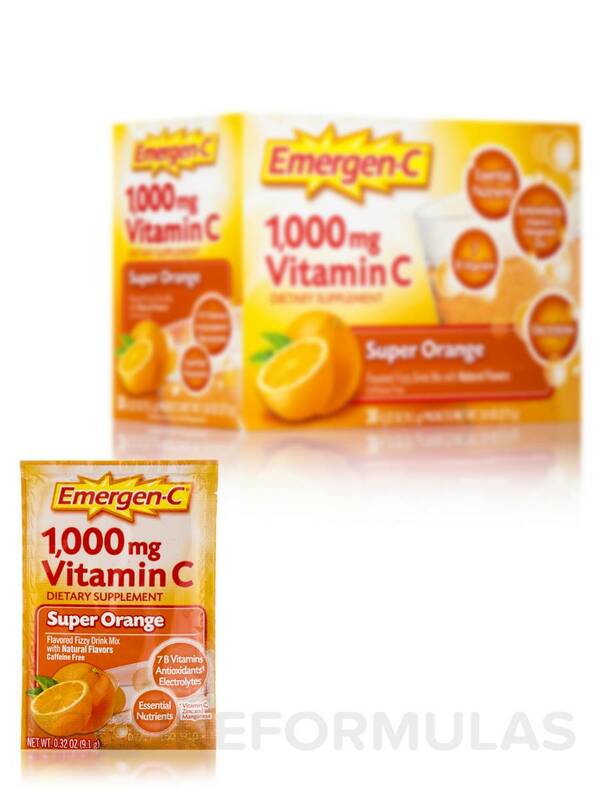 Emergen-C® Super Orange Packets from Alacer Corp. is a delicious way to incorporate vitamins and minerals into your daily diet. Other Ingredients: Fructose‚ maltodextrin‚ citric acid‚ malic acid. Contains <2% of: acacia‚ beta-carotene (color)‚ dried orange juice concentrate (color and flavor)‚ glycine‚ l-aspartic acid‚ natural flavors‚ orange oil‚ silicon dioxide‚ tartaric acid‚ tocopherols (to preserve freshness). Great source of Vitamin C! Tastes great and dissolves well with water. For when I have no OJ in the house. Price, taste & that it works on me. Works great and makes you feel great! Plenty of vitamin C plus B vitamins. Some of the flavors are not that great. 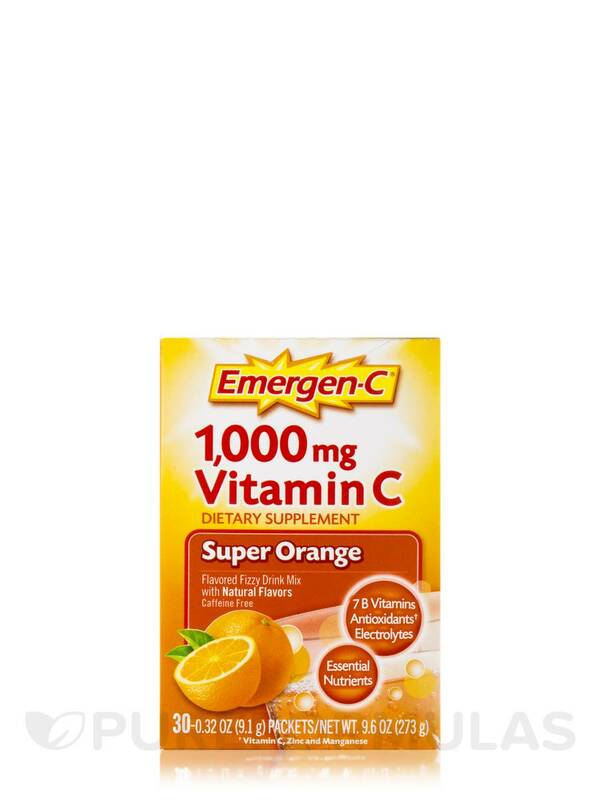 Emergen-C Vitamin C by Alacer Corp has an okay taste, not the best orange, but helpful if you need to add to your diet. 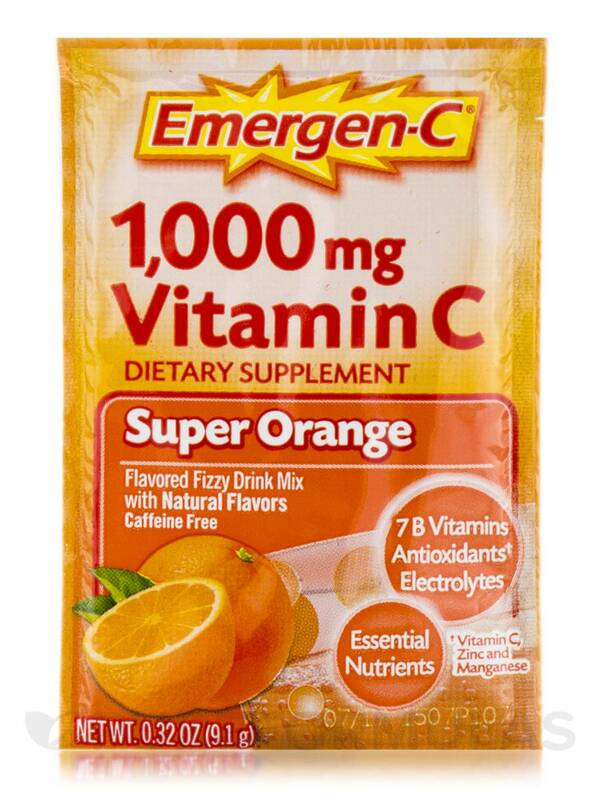 I may not like anything orange flavored but I like that Emergen- C Vitamin by Alacer Corp, gives all vitamins I need! 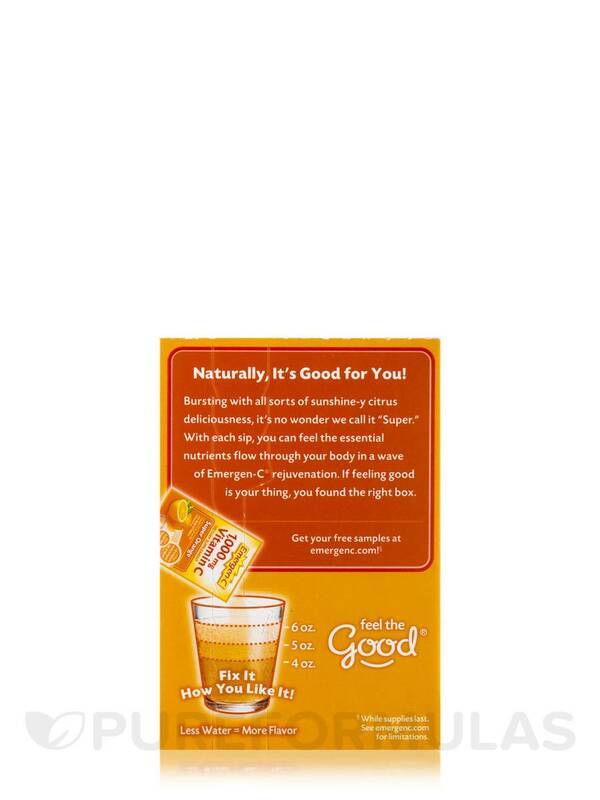 I love Emergen-C Vitamin C Super Orange by Alacer Corp It's really good. 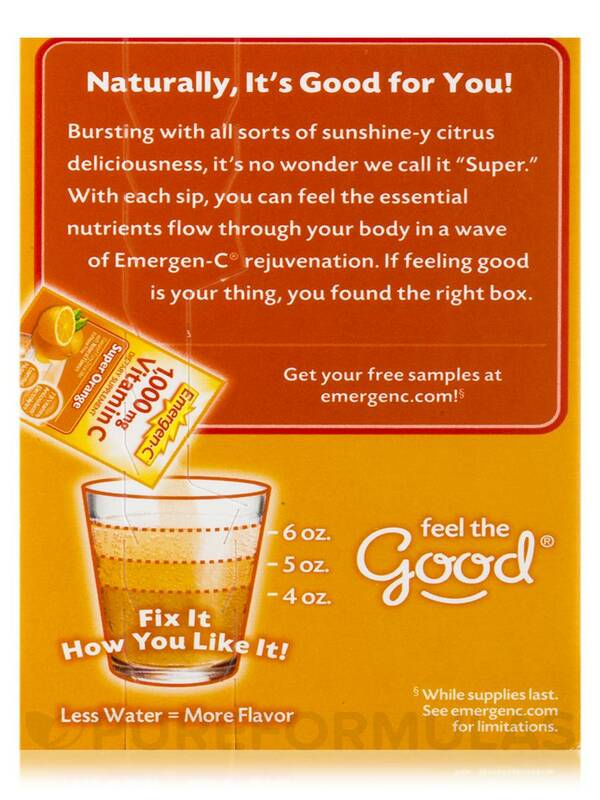 When everyone was getting a cold this winter I didn't because of Emergen-C! Very good stuff. I drink a glass of Emergen-C a few times a week to keep my immune system up in the winter months! I have hardly gotten sick, and if I have, it only lasts a day. 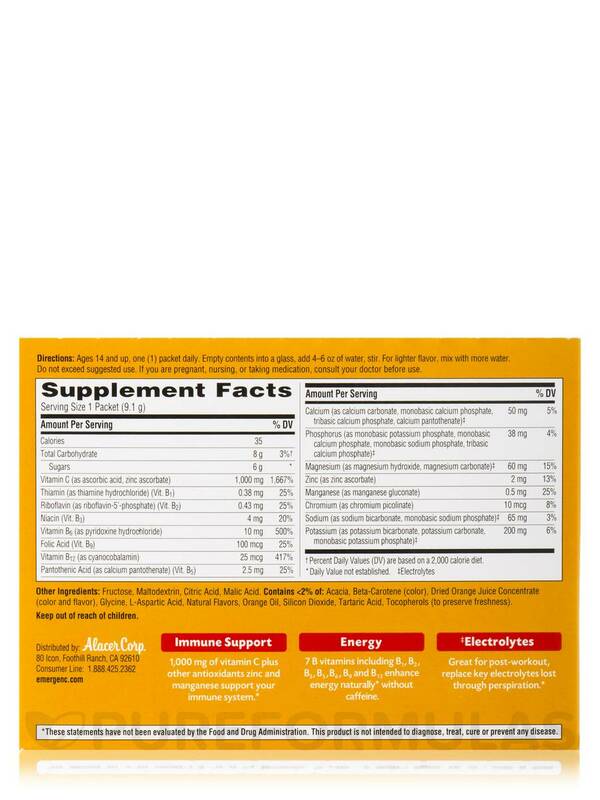 Emergen-C is a great way to get vitamins. Emergen-C Vitamin C by Alacer Corp tastes great and gives me the energy and supplementation to support health during the winter months. Lots of Vitamin C and tastes great. EmergenC super orange is great.